For Volkswagen enthusiasts, there is unquestionably a difference between the 2018 Volkswagen Golf vs 2018 Volkswagen Golf GTI. The GTI has always been the performance version of the Golf as it offers considerably more power than the standard practical hatchback. On the flip side, with more power comes a higher price tag. Is it worth it for your daily driver? One thing you’ll note when looking at the chart below is that while the 2018 Volkswagen Golf GTI offers a full 30 extra ponies over the standard Golf, it manages to do so without losing much in fuel economy. That means you can experience all the thrills of a more potent on-road feel without more frequent trips to the gas station. The 2018 Volkswagen Golf comes in S and SE trims, which means that it might be a touch more limited when it comes to available features. 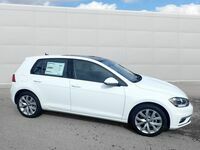 The Golf GTI offers S, SE and Autobahn trims so you will find a premium option in the top trim level, but you’ll also be spending more than $35,000 if you want those luxury features. The 2018 Volkswagen Golf GTI offers these same features, but adds on sport suspension, the Cross Differential System XDS+, Clark Plaid seating, heated front seats and Driving Mode Selection. 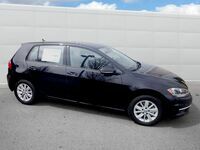 The differences are better felt than read about so stop by Dirito Brothers VW for a test drive.